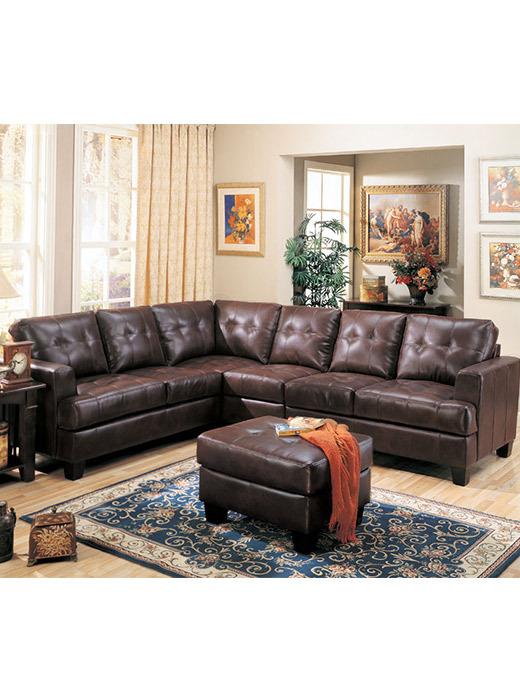 The Samuel 100% bonded leather sectional offers style and comfort. Features clean lines and attached cushions. 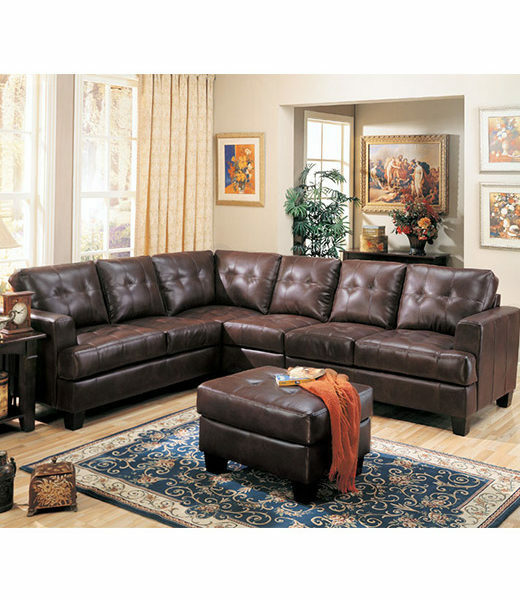 Dark Brown Sectional:91x91x36 Hardwood frame, webbed back, sinuous spring base with pocket coil cushions, baseball stitching.